This is common for so many students, and one of the major reasons why, on average, students are taking almost 5.1 years to graduate with a 4 year bachelor's degree, according to the National Student Clearinghouse Research Center! Why is that important? Well, for one in the state of Florida once student reach past 4 years and 132 credits (10% over a 120 credit bachelors) the tuition doubles and two, scholarships, like institutional and Bright Futures, stop! 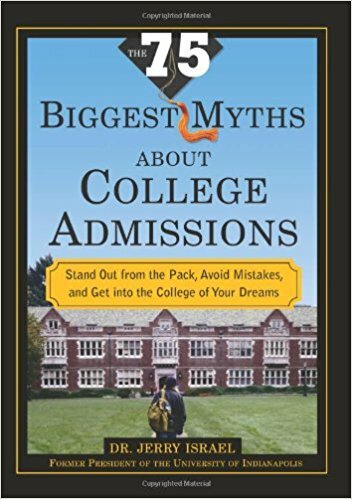 Dr. Jerry Israel, author of The 75 Biggest Myths About College Admissions, stated this, "The major is only one element of a college education. It is far more important in college than after. She will likely change careers multiple times. Much that she will do hasn’t even been thought of yet. So get a solid grounding in verbal, quantitative and communication skills. Stay undeclared as long as possible. Take introductory classes in the couple things she most enjoys. Choose the one where she feels most at home with the faculty. And don’t forget electives in art, music and literature. Most important get involved on campus. She will learn more there than in class." So to be actively involved, she needs to find a college that she feels at home and that she can immediately be a part of the campus community. This is called "fit"; big, small, liberal arts, private, public, close/ far to home, religious affiliation, etc. are all factors. Encourage your daughter to explore the campus and local community. Get involved, reach out to professors that challenge and encourage her. And most of all, have her use the campus' resources, such as the academic and career centers. As well, College UnMazed: Your Guide To the Florida College & University System systematically walks families through career and college exploration to find the right choice for students.